If you have questions or concerns regarding this statement, you should contact Your Organic Markets at 1300 315 300 or 07 3353 9972 during normal business hours Mon-Fri. 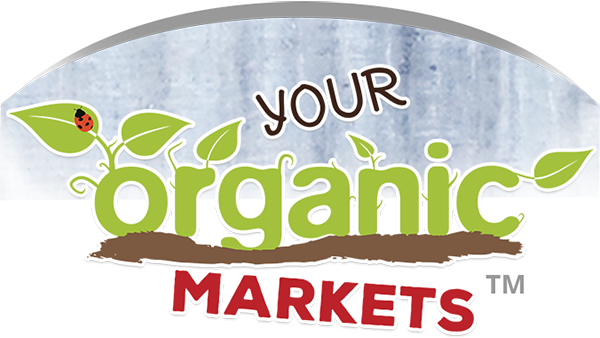 In order to use the Your Organic Market's website, we may require information from you in order to provide the best service possible. All correspondence may also be collected and stored, particularly in regard to sales, support and accounts, including Email. Any information collected by Your Organic Markets is collected via correspondence from you or your company. This may be via the telephone, Email, mail, fax or directly through our website. Any details collected from Your Organic Market's customers is required in order to provide you with our products and/or services, and a high level of customer service. Correspondence is recorded in order to provide service references, and to assist in our staff development. The security of your personal information is important to us because we know it is important to you - so we are on your side with all security and data matters. When you enter sensitive information (such as credit card numbers) on our website, we encrypt that information using secure socket layer technology (SSL). When Credit Card details are collected, we simply pass them on in order to be processed as required. We never permanently store complete Credit Card details. You Organic Markets uses personally identifiable information for essential communications, such as Emails, accounts information, and critical service details. We may also use this information for other purposes, including some promotional Emails. If at any time a customer wishes not to receive such correspondence, they can log in to their account and make the changes or cancellations, or request to be removed from any mailing lists by emailing us at info@yourorganicmarkets.com.au . We comply with Anti Spam law rules which require that we provide an unsubscribe link in every communication with customers and members. You Organic Markets may at its discretion use other third parties to provide essential services on our site or for our business processes. We may share your details as necessary for the third party to provide that service. You Organic Markets does not share any information with third parties for any unknown or unrelated uses. Your Organic Markets is opposed to any abuse and unsolicited communications or sharing of information and will strenuously act in favour of our customers to protect their rights in these matters.